Pentatonix, the season three winners of the NBC a cappella singing competition series, "The Sing Off," have released their debut EP, "PTX Volume 1". 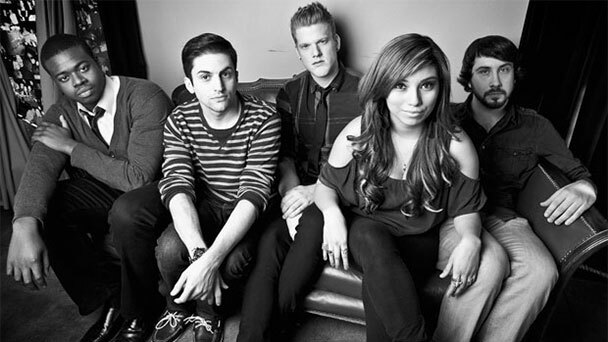 Described by Rollingstone.com to have an "impossibly full sound," the five-member band, named for the world's most widely-recognized five-note musical scale, is comprised of lead vocalists Mitch Grassi, Scott Hoying and Kirstie Maldonado, with vocal bass by Avi Kaplan and beatboxer Kevin Olusola, each who arrange all their own music using only their vocals as instruments. Well, let's beat box it with and get down in the PTX with Scott Hoying and Avi Kaplan, word! MS: You guys are amazing! What inspired you to use your voices as instruments? PTX: We were all in choir and we all love vocal music; it's organic, it comes from yourself, it's such an amazing feeling to perform it for other people. Kevin loves all types of music; he came up with the beat boxing and it worked out perfectly. MS: Most people never think to use their voices for anything other than singing. MS: I really love your guys' mash-up of Justin Bieber's "As Long As You Love Me" and Katy Perry's "Wide Awake". PTX: We all listened to both songs and thought about which parts we really loved out of each song. Then we just put it together, and made sure all of the words worked with the melody. We really liked the feel of the Justin Bieber song so we kept the words, and we loved the chorus for the Katy Perry song. It was a very organic process. MS: It's amazing that you guys all found each other. PTX: Yeah, it is really crazy that we all did find each other, it was obviously meant to be. MS: You guys were on "The Sing Off" and that's where you met. I am assuming that was a good springboard for you. PTX: Just to have millions of people watching you every week... the thing that was great about the show is it really was real, it represented you in the way you really are. It was a really awesome show. It got canceled. We really hope it does come back, though; it brought us together. PTX: Well, Avi had a trio back in high school. When he came to Los Angeles to go to school at the University of Southern California. I joined an a capella group named Poco Loco. A guy in my group told me, "You should try out for 'The Sing Off'. You should do it." I was like, "ok, sure," and that's how we found each other, from the show. MS: You currently have a great cover of the Nicki Minaj song "Starships." Your arrangements are so inspired. How do all of you agree on the one overall concept for the song? PTX: There is a lot of things that just happen naturally. We are inspired by a lot of things, whatever works best is what we keep. In rehearsal, we try everything and whatever works in the process is what we use. The process is pretty direct and simple as we are all on the same page and work well together. MS: Serendipity! What made you guys want to cover "Starships"? PTX: The song has a lot cool music and a really interesting chorus. It's already really cool. We thought it would be a really great song for us to do our thing with, and we are all really proud. MS: Expound a little on "PTX Volume 1". PTX: Well, it's our debut EP and we all have been working on it for a really long time. The EP consists of two originals and four covers. 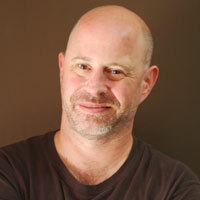 The originals were written by Avi and Scott. We're really proud of it and it is selling a little better than we thought it would. (laughs) We want to encourage everyone to share it and get it out to as many people as they can! MS: Seriously, your re-imagining of the songs you guys cover is really amazing. MS: Rumor has it you guys opened for Cee Lo Green. PTX: Yeah, that was really cool! Cee Lo is a great guy! He's an amazing performer, we've always been big fans so it was a really surreal moment. MS: Did you guys check his performances out from backstage? PTX: We watched the full show every night from backstage, it was awesome! MS: Everyone I have interviewed who has opened for someone who is big time does that. They say it is a great way to learn the biz of show. PTX: Very true, it was a great opportunity to open for Cee Lo. He is a real pro. MS: So, how did you end up with a woman in the mix? PTX: The trio of Scott, Mitch and Kirstie all grew up in Texas together. They were all in choir together so their blend is just unbelievable! It's just amazing. I still can't believe we all found each other. MS: So, where do you guys want to go with all this? PTX: We just want to keep making more music and we hope people like it. MS: Thank you, PTX, I love it! Your music will be around for a long time. PTX: Hey, thanks, man! We're glad you did! Give me a P, give me a T and an X - get yourself some "PTX Volume 1".